Under this umbrella are found the largest number of printmaking techniques, engraving, dry point, aquatint and mezzotint or collograph. Intaglio involves incising lines or depressions into a metal plate by chemical or mechanical means. These lines are then filled with ink. The plate surface is wiped clean. The plate is run through the press and the ink is transferred onto damp paper. The paper support is very important. I use the best quality rag papers, Japanese rice papers and cotton voile material. 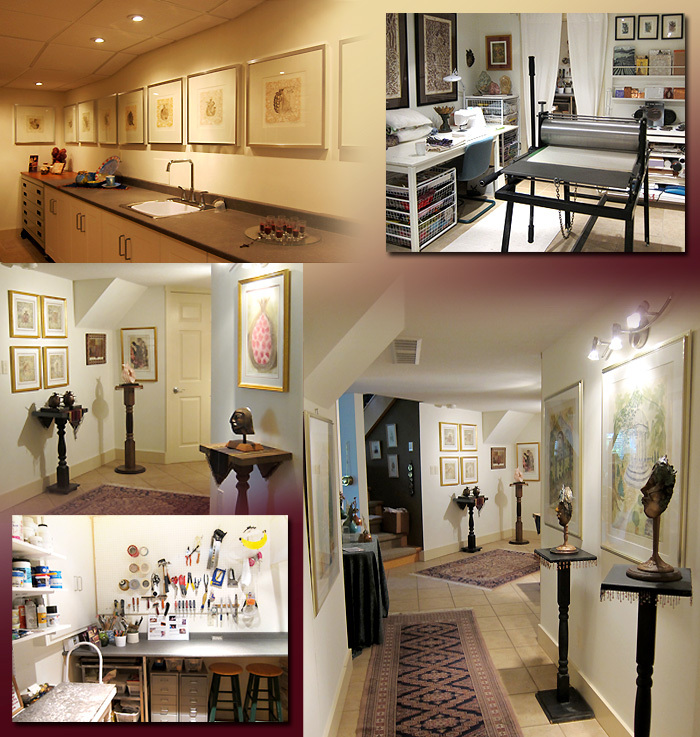 I use other techniques such as collograph, carborundum and monoprint in combination with my intaglio processes. Chine collee (Japanese glueing technique) allows me to create a layered effect. The plates can also be inked a la poupee where all the different coloured inks are applied at the same time. The serendipity of hand printmaking fascinates and nurtures me. My prints are enduring and original.